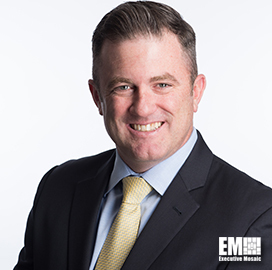 Shawn Rodriguez, regional vice president of U.S. state and local government and education at ForeScout Technologies (Nasdaq: FSCT), has said agencies that aim to secure complex networks from cyber threats should implement an adaptive security strategy that works to offer insight into connected devices and related risks. “A critical core to adaptive security operations should be agentless, real-time visibility with rich contextual insight across heterogeneous devices and network tiers,” Rodriguez wrote. He noted that such a strategy involves the implementation of an automated process that is based on security policies and granular intelligence to address gaps between cyber threat detection and response. “Harnessing such granular data also provides valuable context to confidently create more effective security policies that mitigate and remediate threats with automated, targeted actions,” he said. Agencies should field a “closed-loop security system” that integrates several components such as data correlation, device discovery, threat detection, intelligence and response in order to build up their ability to safeguard networks from various threats. He added that the adoption of such a security system “allows new innovations to be added without expanding the attack surface,” boosts operational efficiency and reduces risks.